With the "Building for our Community" project moving along, Ascutney Outdoors has announced two local residents have pledged $100,000 toward the installation of a T-Bar at the small Vermont ski area. In order to receive the funds, the Building for our Community fundraiser will need to be successfully completed, and an additional $100,000 will need to be raised for the T-Bar project. As of Ascutney Outdoors' fall newsletter, $602,000 of the combined $825,000 goal has been raised. If the fundraiser is successful, Ascutney Outdoors plans to purchase a 1987 Doppelmayr T-Bar from Centre de ski Le Relais. 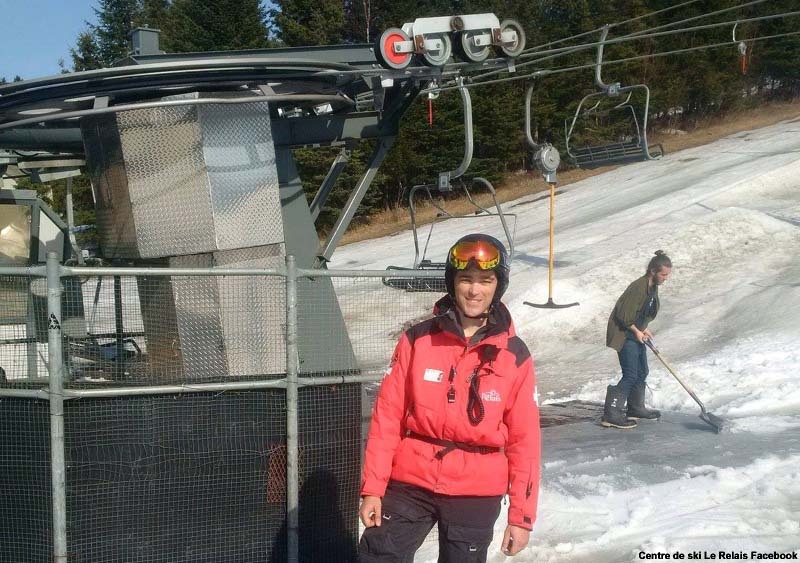 The T-Bar was taken out of service last year when a new six pack was installed at the Quebec ski area. If installed at Ascutney, the lift could be roughly 2,500 feet long. Meanwhile, construction on the new outdoors center building is expected to start next month. In addition, a new lift served snow tubing area is planned for the former lower mountain this winter. Originally developed as a surface lift ski operation in the mid 1940s, the financially troubled Ascutney Mountain ski area closed amidst foreclosure proceedings during the 2009-10 season. The high speed quad was removed in 2012 and the triple chairlifts in 2014. The remaining double chairlift is not currently functional. The Town of West Windsor approved the acquisition of the defunct ski area on October 14, 2014. A local non-profit group, Mount Ascutney Outdoors was established as a Vermont business entity on September 13, 2015. 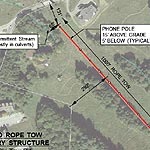 The group quickly installed a rope tow and operated it during the winters of 2015-16 and 2016-17.